Those of us who shop there already know it as one of the best supermarkets on the planet, and now it’s official: Ritchies Supa IGA Dromana has been named IGA International Retailer of the Year. The award was presented to Ritchies group CEO Fred Harrison and Jarrod Swaine from Ritchies Stores at the international IGA conference in San Diego on February 26. The accolade is the latest in an impressive list of awards for the innovative supermarket: 2018 National Retailer of The Year, Supa IGA Store of the Year, Supa IGA Bakery Department of the Year, and the Retail Transformation & Innovation Award winner at last year’s IGA Australia Awards. It is owned and operated by the Ritchies group, which has been operating in Australia for almost 150 years and is now the nation’s largest independent supermarket and liquor retailer. Ritchies Dromana is the complete package for modern grocery retailing and has become famous as a foodie’s paradise, with a wide range of food and ingredients sourced from around the world. Energy-efficient refrigeration, low-line bakery display units, wine barrel display tables in produce and the Himalayan salt wall in the meat dry-ageing room all help to create a visually impressive store. 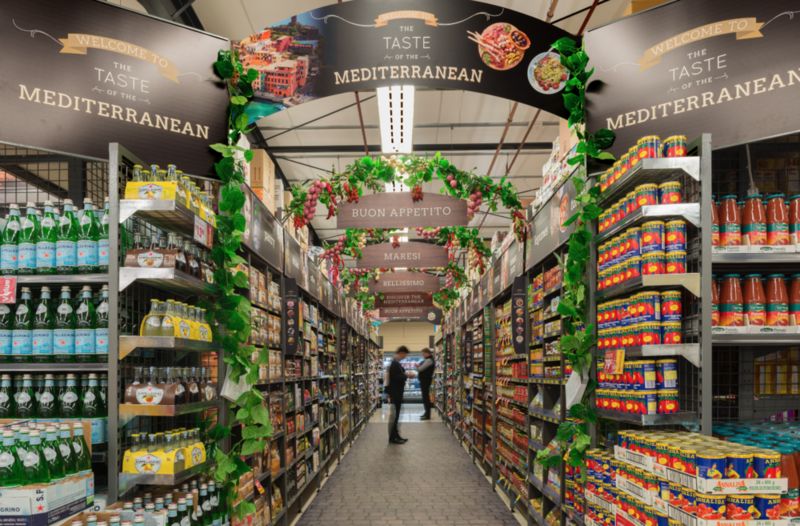 With a focus on fresh food — from the seafood display and sushi kiosk to the international cheese bar and fresh meals counter — shoppers can find everything they are looking for and more. The modern design of the new supermarket has cleverly incorporated some visual images of the past 148 years of history. “There are not many businesses today still family-owned after 148 years and continuing to grow stronger in a very competitive retailing environment,” Mr Harrison said. “Our business is about unique ranges. Our main point of difference is that we are working with our supplier partners to range many products that are exclusive to Ritchies. These include hard-to-find specialty items as well as all the traditional lines found in a large supermarket. As an independent supermarket, we are better placed than many to tailor our fresh offerings and provide unique grocery items.